Pearsons Cider. | Cider Made Slowly. 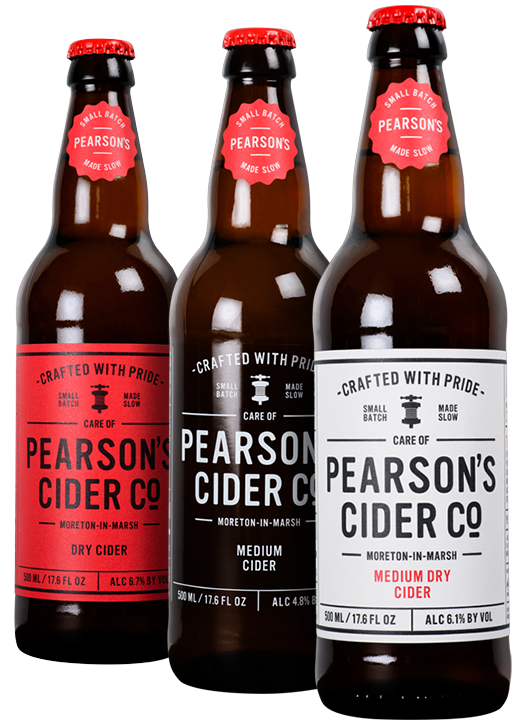 Pearson’s Cider Co. Ltd. is a small cider mill located on a farm just outside Moreton-in-Marsh, Gloucestershire. We love making great cider. It’s all done using traditional methods, but with a little help from the latest technology. Our ciders are made from 100% fresh pressed cider apple juice. We don’t use artificial stuff.